(NaturalNews) It's not very often that I go "WOW!" when reading the ingredients of personal care products. When conducting laboratory investigations into foods, beverages and cosmetics, I'm usually disappointed at the products I see because they often contain high heavy metals, low-grade ingredients and toxic chemical preservatives. 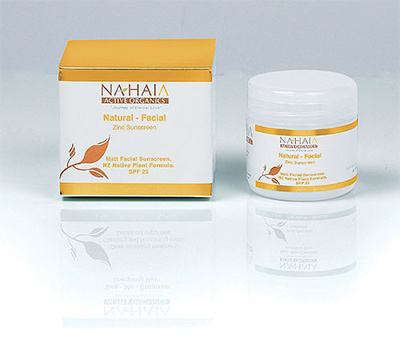 But a new line of skin care innovations from a New Zealand company called NAHAIA ("Na-Hiya!") has put a smile on my face for its integrity and purity. The "Natural Polysaccharide Gel" is aloe vera, of course. The "Organic Essentials Oils" function as both a natural preservative and a small addition of natural fragrance. The product's "Natural Preservative System" is actually a blend of herbs known to inhibit bacterial growth. But the most unique ingredient in the formulation is Colloidal Gold. In this YouTube video by Nahaia Russ, the inventor of the formulations, she explains that colloidal gold helps enhance the skin's absorption of other nutrients. I found this intriguing because in my atomic spectrometry laboratory, I always spike the sample dilution liquid with a 200 ppb colloidal gold solution. This trick was actually taught to me by a high-level chemist who said something similar to, "The gold helps keep the other elements in suspension by binding them with the gold." To discover that NAHAIA is using gold in their high-end skin product formulations for essentially the same reason is fascinating to me because it demonstrates a deep knowledge of ingredient interaction that you typically don't encounter in the skin care industry. As I looked further into the NAHAIA formulations, I acquired their full line of products and ran them through the heavy metals analysis instrumentation in my lab (Agilent ICP-MS 7700X). The results were phenomenal: extremely low (near zero) concentrations of toxic heavy metals. This is important because I've seen reports of as much as 50,000 parts per million (yes, million, not billion) of mercury in skin whitening creams. There's also lead in a lot of low-end lipstick products, and it's not unusual to find mercury in mascara. As you well know, I won't publicize, promote or distribute a product unless it passes my laboratory testing first. The "NAHAIA Active Organics" line was so clean and so expertly formulated that I decided to carry the entire product line at the Natural News Store. The place to start with this exceptional line of products is with the Pink Anti-Aging Starter Pack. Because these products don't use toxic chemical preservatives, they have a limited shelf life. The starter kit / travel packs we carry right now expire in July of 2016. 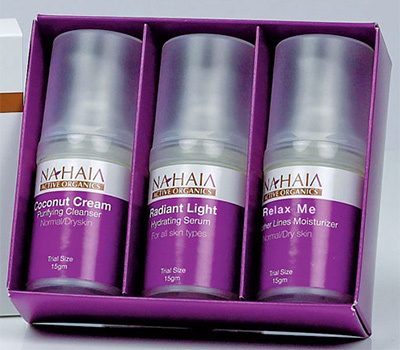 The Full NAHAI product line is found at this link, and it includes very high-end solutions such as the Intensive-C Nutrient Moisturiser (all the product names have a New Zealand spelling), Bright Eyes Flash Tightening Serum and Grape Cleanse & Foaming Anti-Oxidant Cleanser. Everyone who reads Natural News, of course, already knows to avoid the toxic personal care products sold at Target, Wal-Mart and department stores. On the high-end side of things, there are many high-quality brands to choose from. But even those sold at natural-oriented retail stores like Whole Foods can vary widely in their formulations and purity, and some of the natural-sounding brands have actually been bought out by big corporations (such as Burt's Bees). So when it comes to personal care products, I strongly encourage you to do your homework and choose carefully. After all, these are products that you absorb into your body! Many things you put on your skin go right into your tissues and bloodstream. That's why personal care products can either NOURISH your body, or POISON it, depending on what you choose. 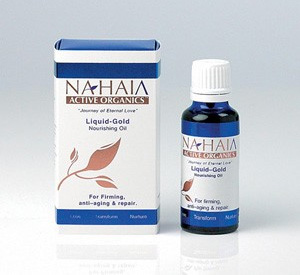 To check out the NAHAIA product line, click this link for the Natural News Store. The best starter kit is this Pink Anti Aging Starter / Travel Pack.